Stretch out your board gaming muscles and warm up your score pads, it's time for Fair Game's First Annual Board Game Trifecta!! 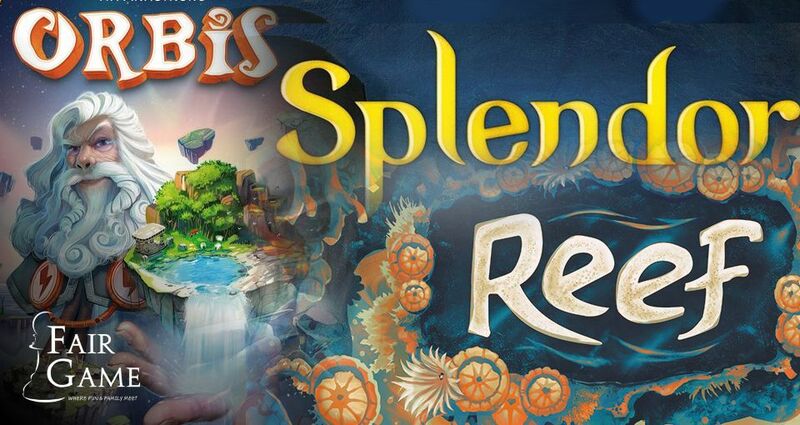 Designed for casual gamers, the event will focus on exploring new titles and revisiting favorites, each of which share similar drafting and resource management characteristics. Participants will play three different games, earning raffle tickets along the way to win fabulous prizes! Keep scrolling to find out more info about each of the games appearing in the event. PREREGISTRATION IS VERY IMPORTANT. Please visit THIS LINK to purchase tickets for the event. Please contact the store at (630)963-0640 or fairgamestore@gmail.com if you have any issues. 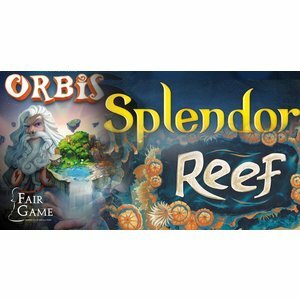 Prizes for the event will be based on attendance and could include a neoprene Orbis playmat, copies of each of the games, store coupons and additional board game promotional items. Competitors will earn raffle tickets by participating in the different events, performing well during each game and for completing different thematic challenges. Each of the prizes will be raffled off at the conclusion of the event! Finally, we will need copies of these games to run the event. If you own Splendor, Cities of Splendor, Reef or Orbis and would feel comfortable permitting us to use your game to run the event, please send us an email at fairgamestore@gmail.com!